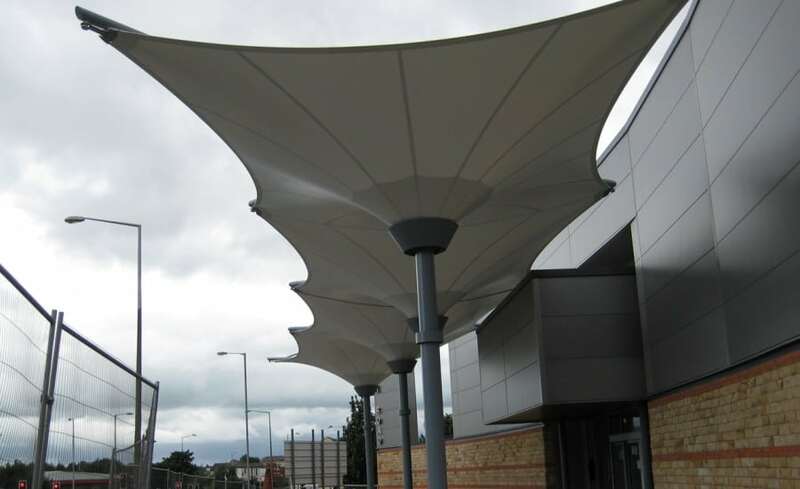 The development of a brand new retail space is the perfect location for a tensile fabric structure. Eye catching and dramatic, fabric structures offer possibilities for branding and lighting to enhance space. 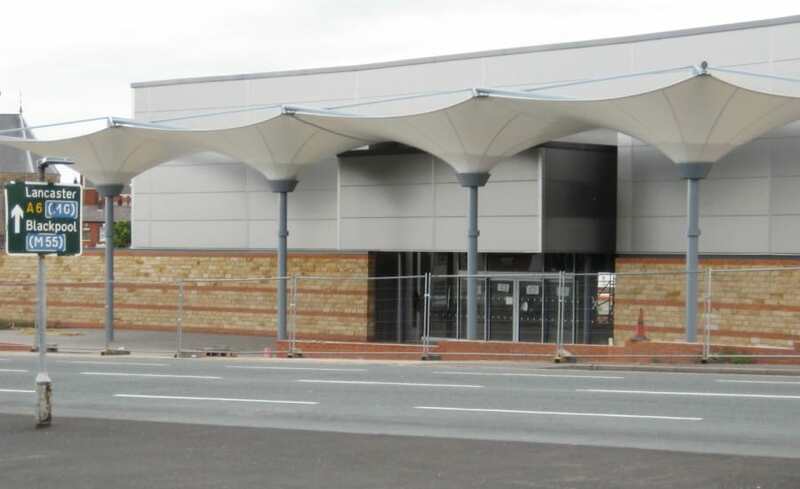 For these reasons, building development company Marcus Worthington & Company decided to include a fabric membrane structure at the roadside entrance to the retail development at North Road, Preston. 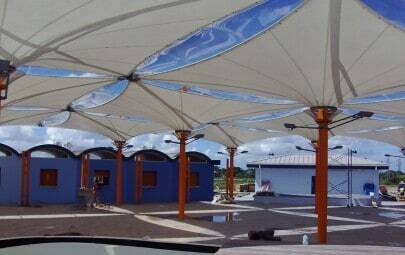 The structure is formed from 4 inverted umbrella structures conjoined to form a single canopy to the front of the building. 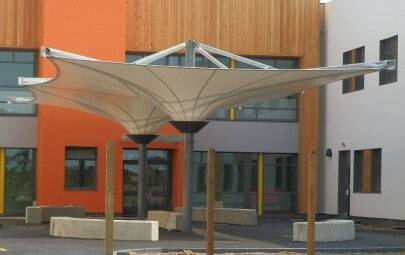 Architects Wood Associates and Architen Landrell worked together to ensure that the canopy provided the impact intended. The structural support steelwork was designed and decorated to match the cladding of the retail unit while the white PVC coated polyester fabric creates an eye catching contrast. 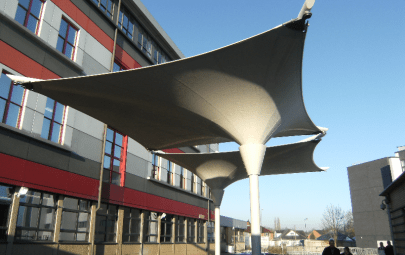 The canopies have the added function of effective water capture and displacement through the supporting columns and into underground drainage and provide weather protection for visitors and passers-by. 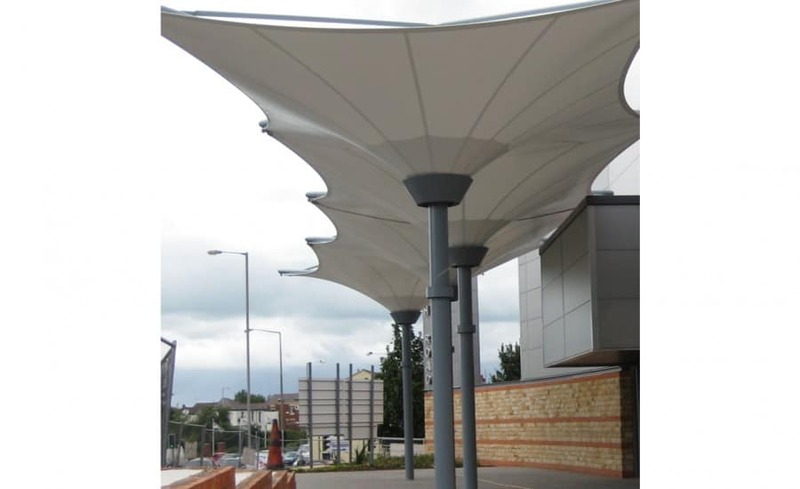 This cost effective and visually stylish solution makes the retail centre noticeable from the road and creates another reason for it to stand out from the crowd!